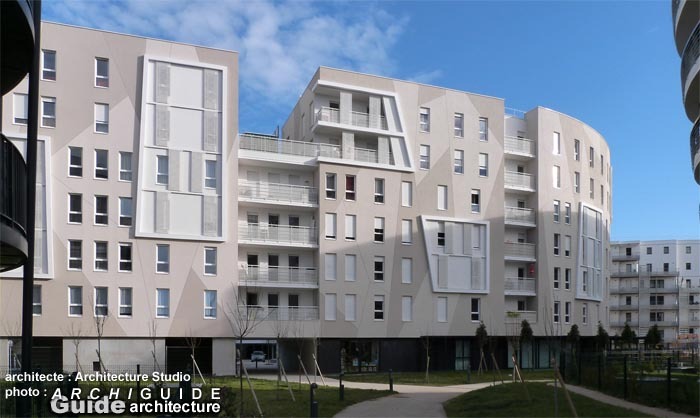 After the residence Croisset, the Judo Institute is the second project of Architecture Studio growing by the peripherique . 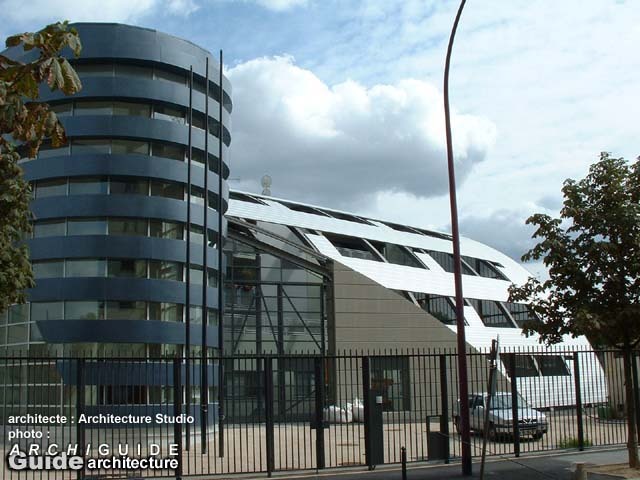 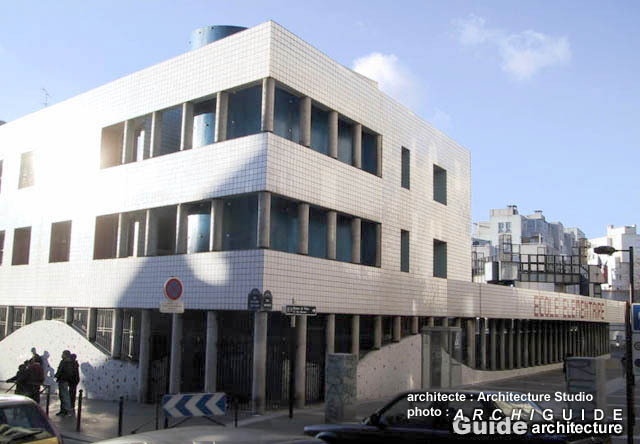 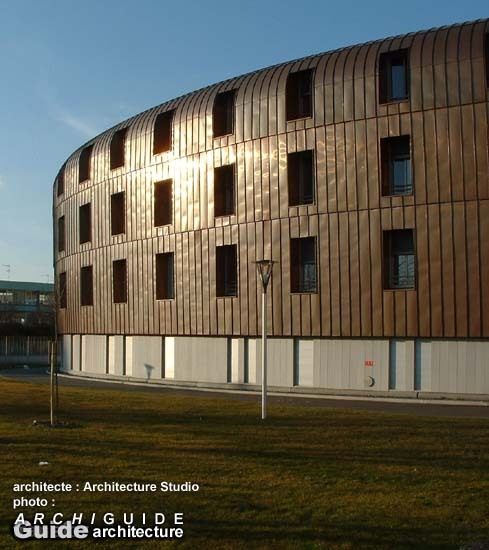 A copper cupola comes to cover the national dojo in the angle peripherique-avenue while a bar of offices of glass and concrete shelters the offices of the federation, the hotel and the shops at the edge of the cemetery of Montrouge on one side and along a semi-covered pedestrian mall on the other side going from the avenue and ending in the peripherique on a set of sections of black concrete walls. 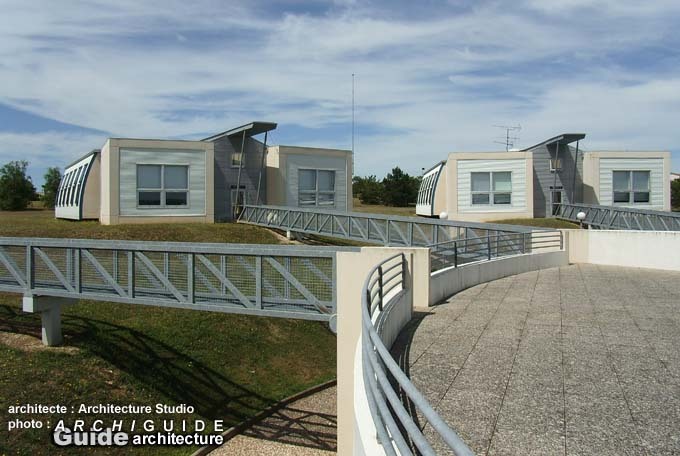 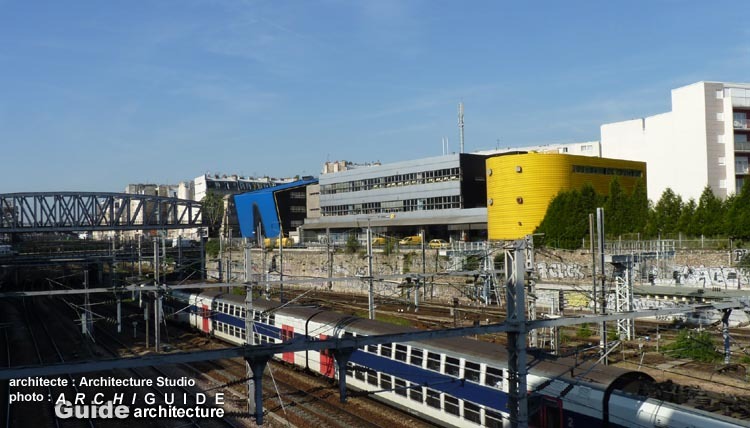 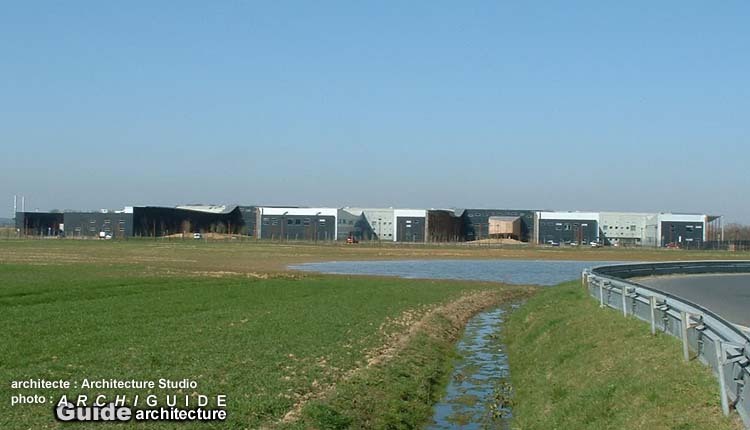 Originaux, les bâtiments d'Architecture Studio, le sont toujours. 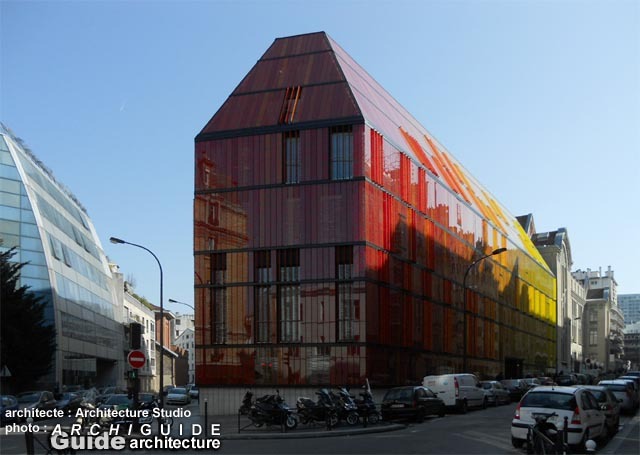 Ici encore ils parsèment leur immeuble de logements de touches colorées (rouge ou jaune). 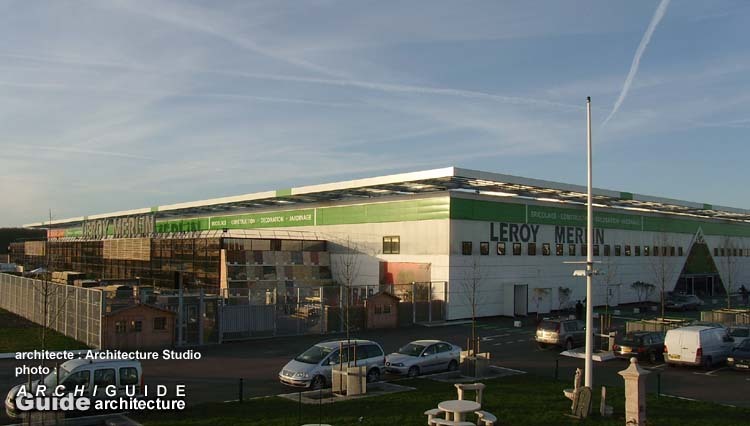 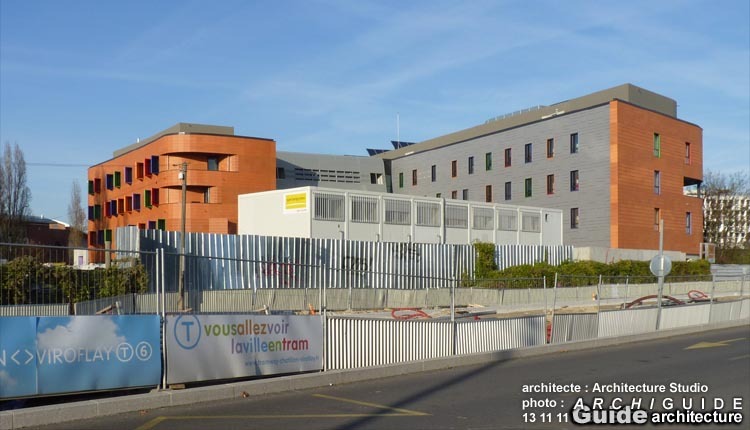 Le long de la rue Cauchy sont posés les parois vitrées des bureaux et une crèche capotés de métal. 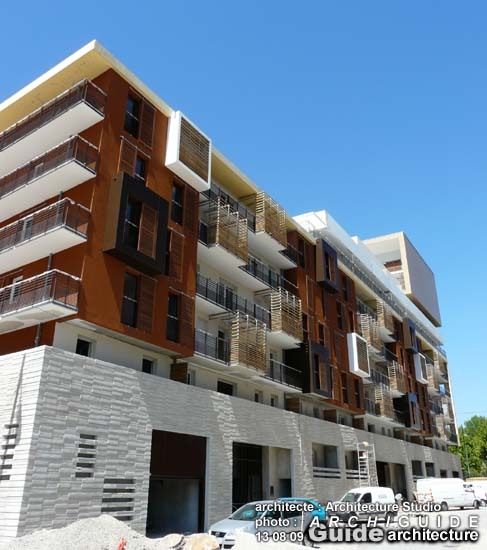 Une tour toute en courbes, marque l'angle avec la rue Balard et une barre de logements aux balcons filants, tout juste perturbés par des éléments en saillie, habite le fond de la parcelle. 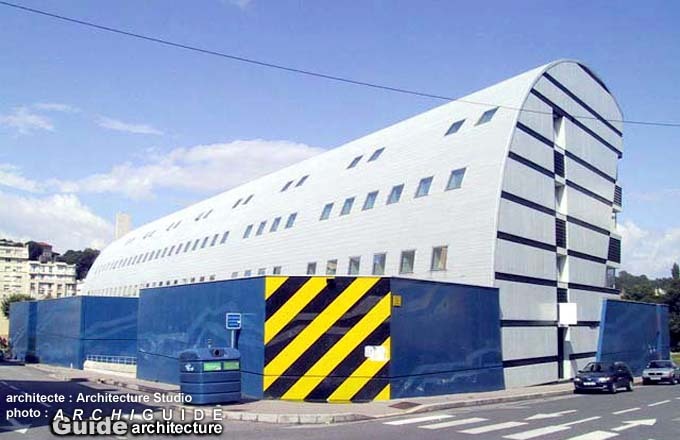 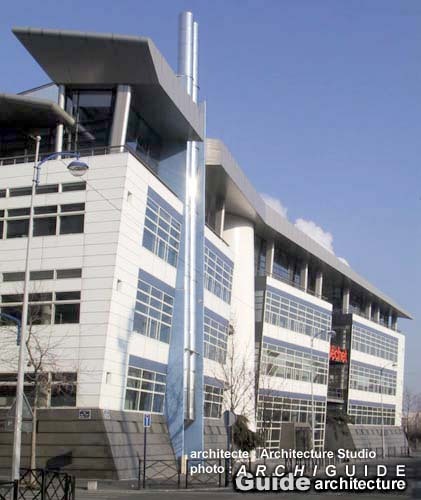 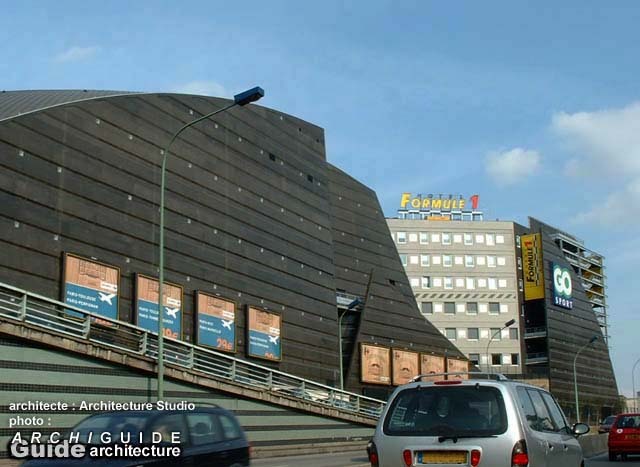 The buildings of Architecture Studio are always original. 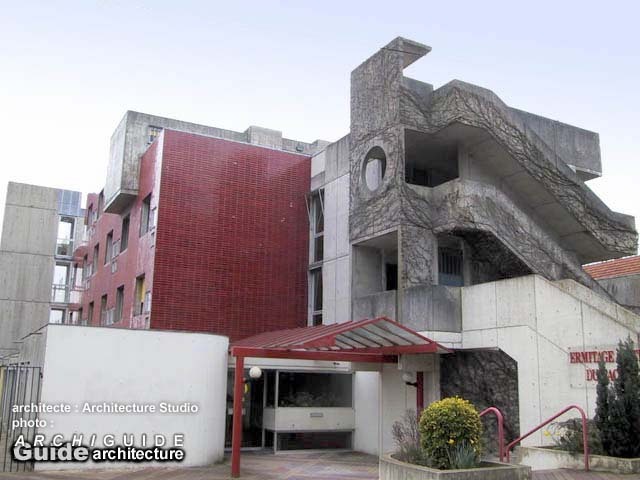 Here again they spinkled their block of flats with coloured touches (red or yellow). 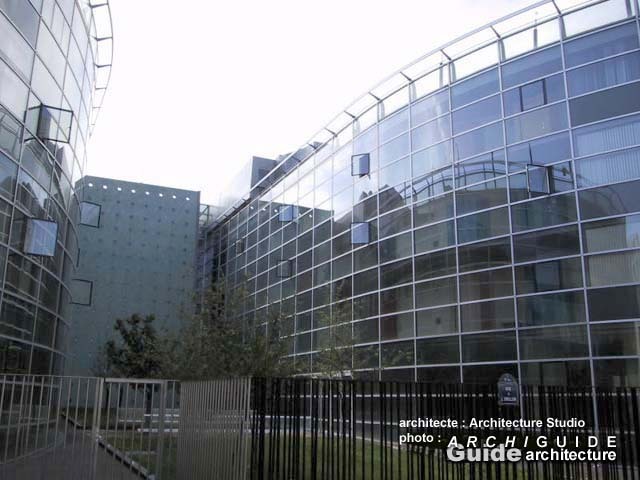 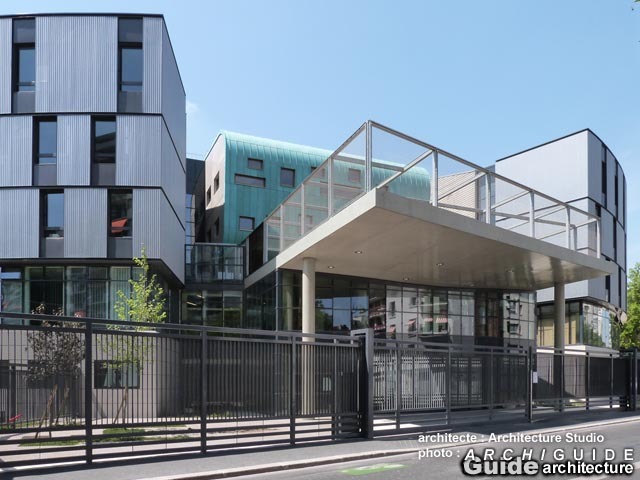 Along the Cauchy street are put down the glass walls of the offices and a creche hooded with metal. 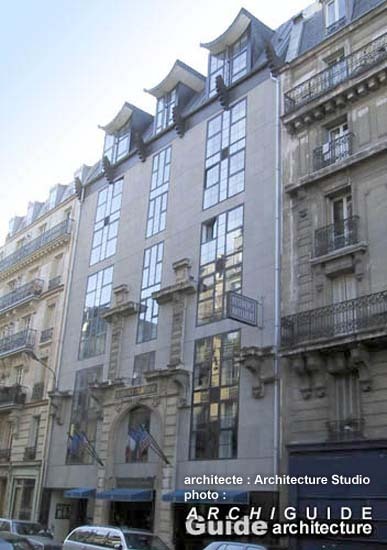 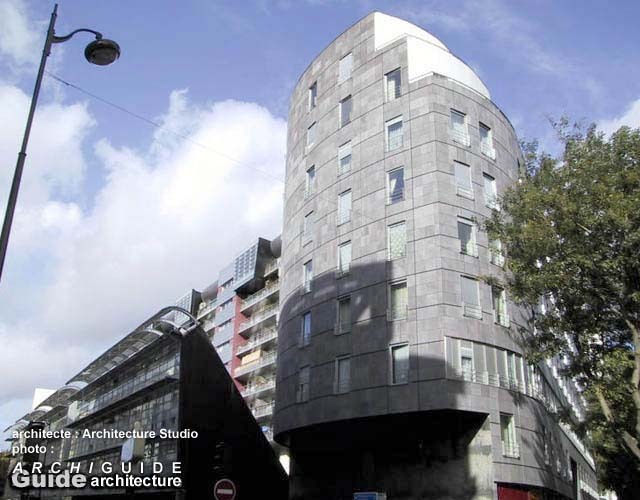 A tower all in curves, marks the corner with the Balard street and a bar of flats with long balconies, just disturbed by projecting elements, occupies the bottom of the parcel. 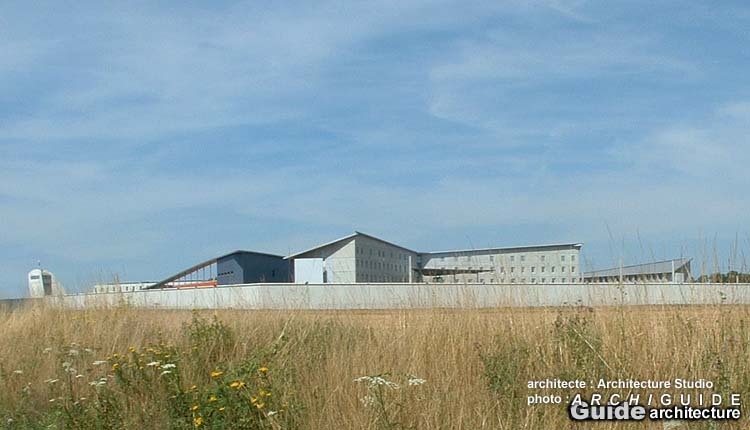 Cette église contemporaine a fini par émerger en 1997 pour présenter aux fidèles l'image cultuelle originale d'un cube prisonnier de sa cage en acier inoxydable. 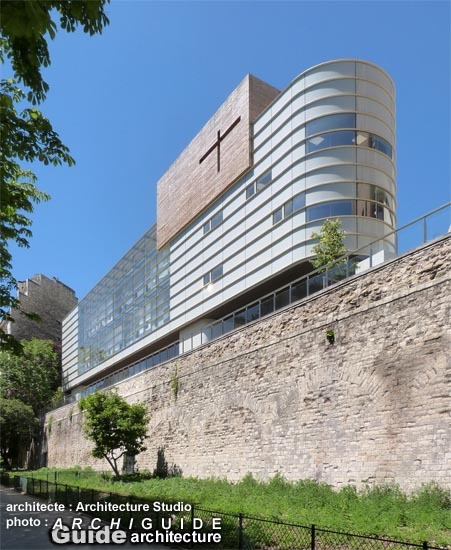 Le clocher est constitué de cette même dématérialisation tandis que le cube se pare de plaques métalliques recouvertes du "Je vous salue Marie" à l'extérieur et de bois clair à l'intérieur. 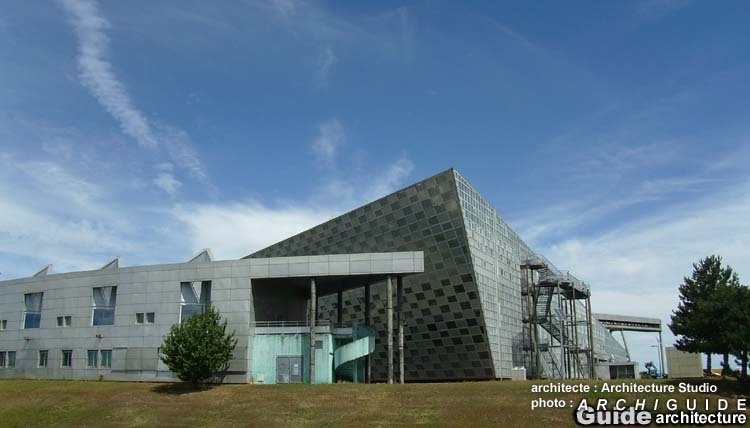 This contemporary church finally emergeg in 1997 to present to the congregation an original cultual image of a cube captive of its stainless steel cage. 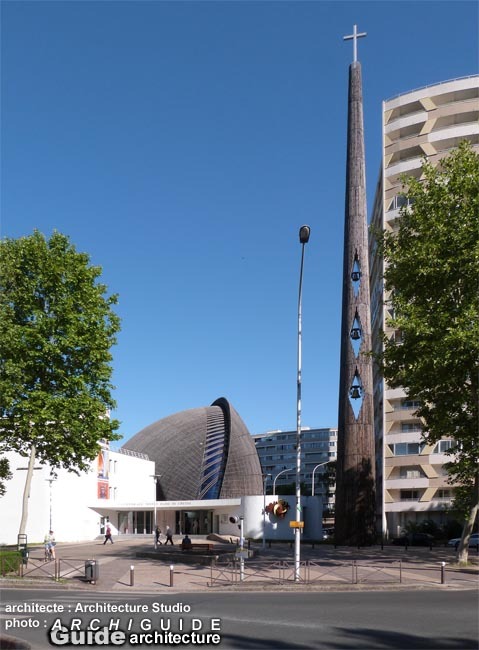 The bell-tower consists of this same dematerialization while the cube adorns itself outside with metal plates covered with the "Hail Mary" and inside with light-coloured wood. 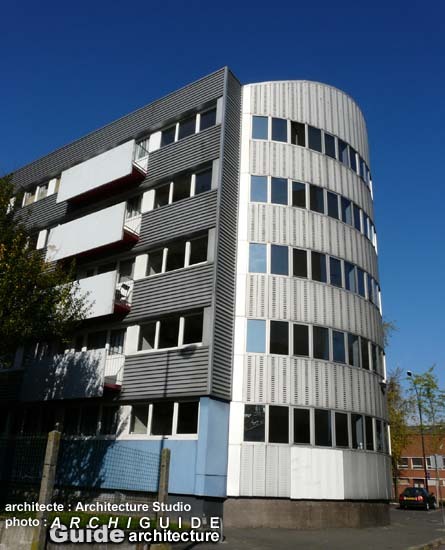 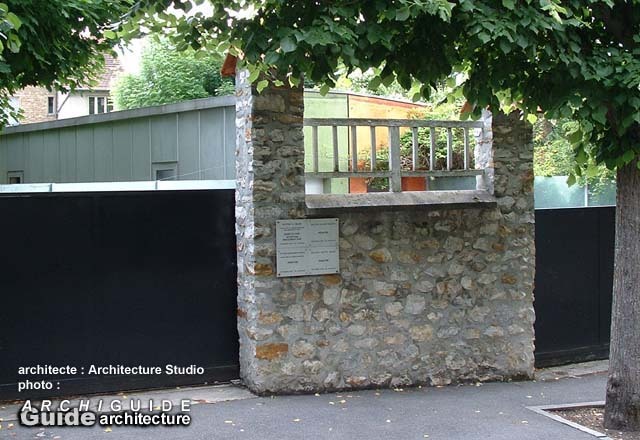 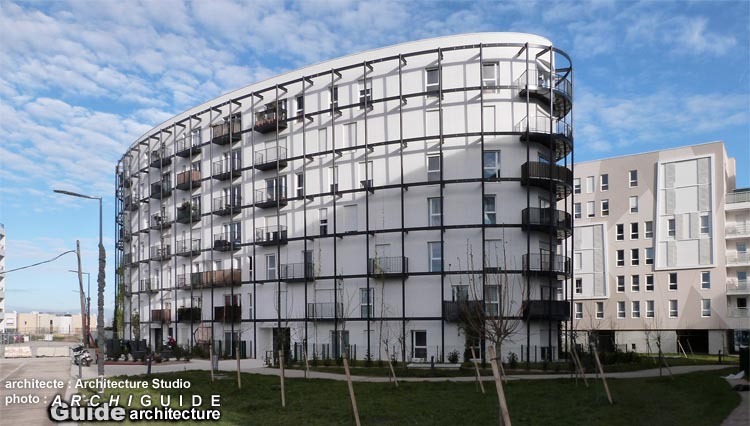 Cette résidence universitaire cache ses trois tours de logements derrière un mur protecteur, espace de distribution qui s'étire le long du périphérique. 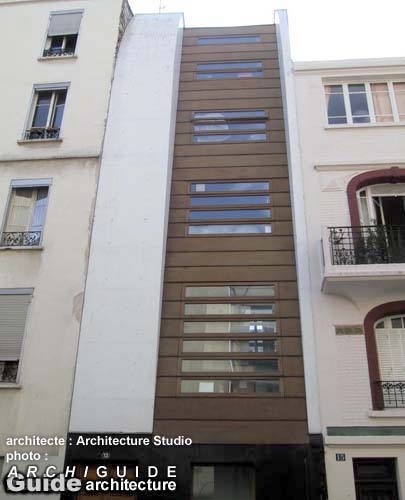 Le plan -arête distributrice et ogives résidentielles- se retrouve imprimé en clin d'oeil sur la fenêtre donnant au nord sur la rocade parisienne, tandis que les fenêtres des logements cherchent la lumière du sud, quitte à s'extraire de leur façade. 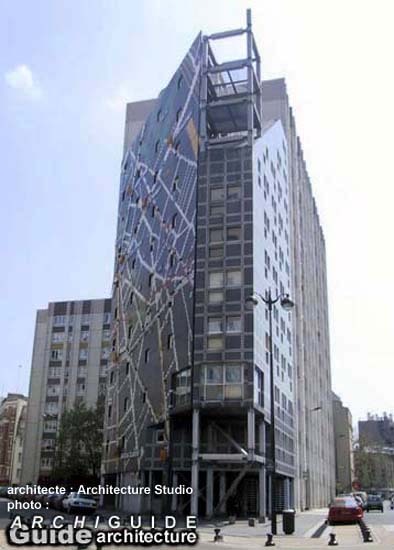 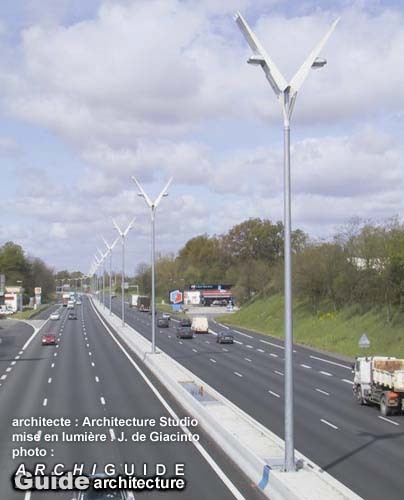 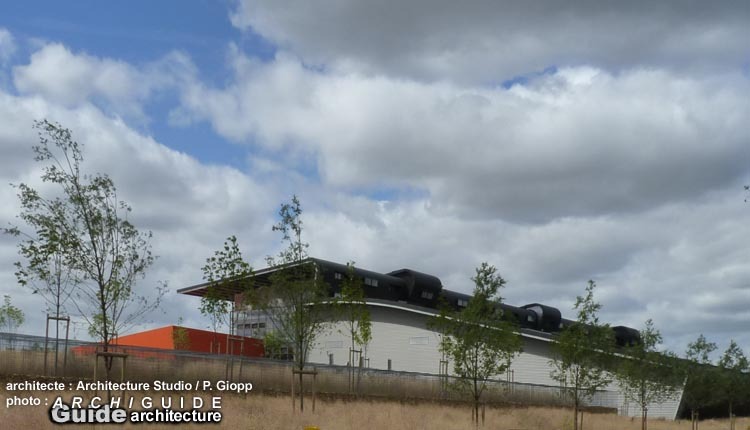 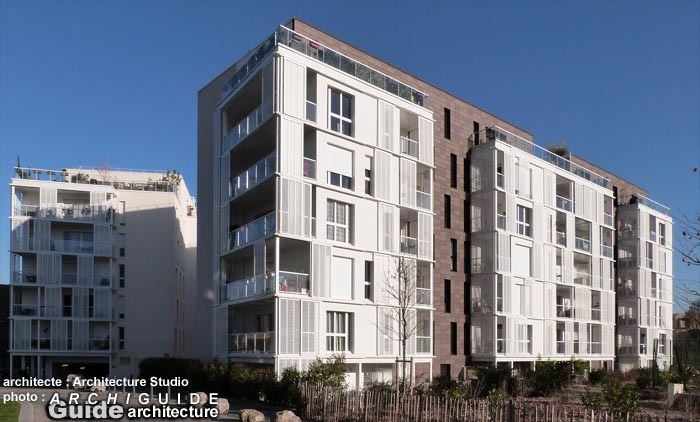 Evident et expressif, ce projet est un des plus emblématiques de la production d' Architecture Studio. 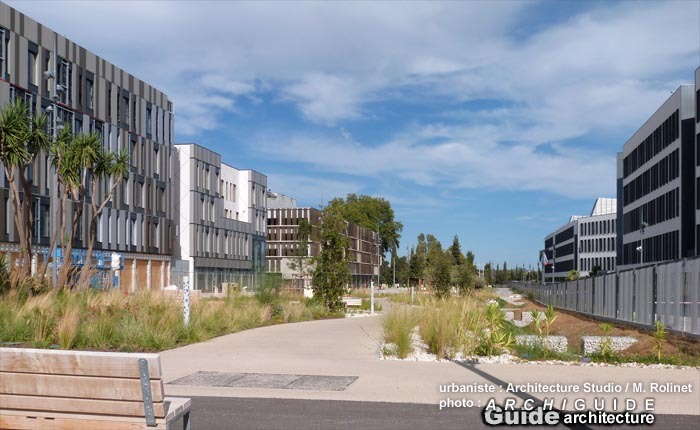 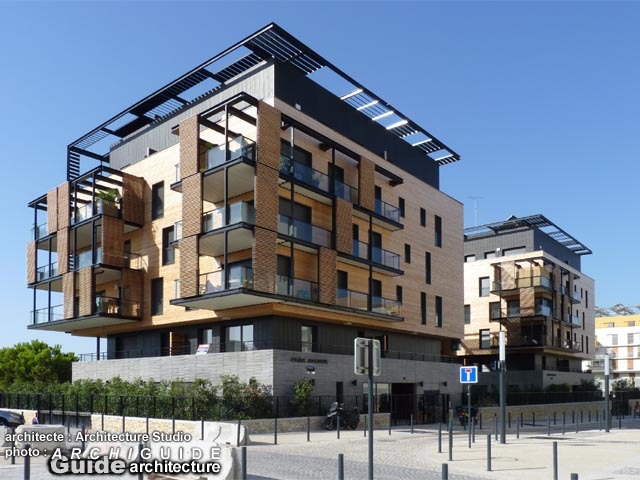 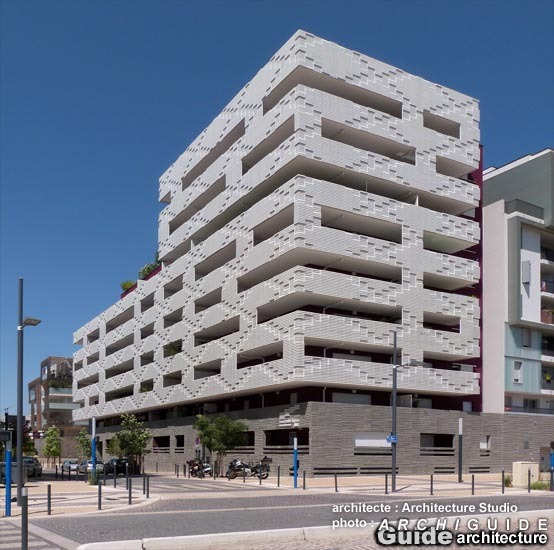 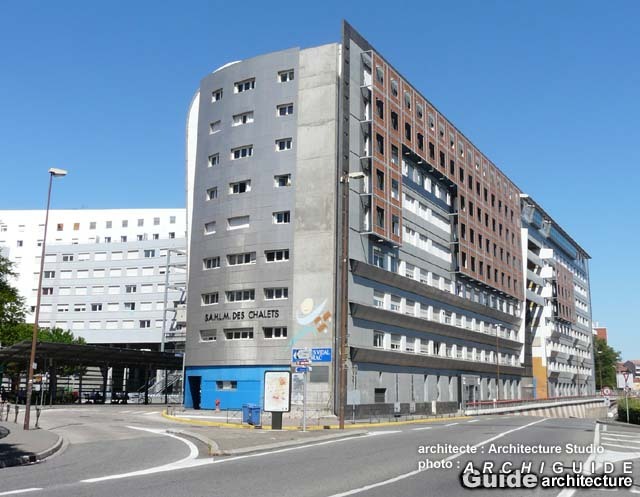 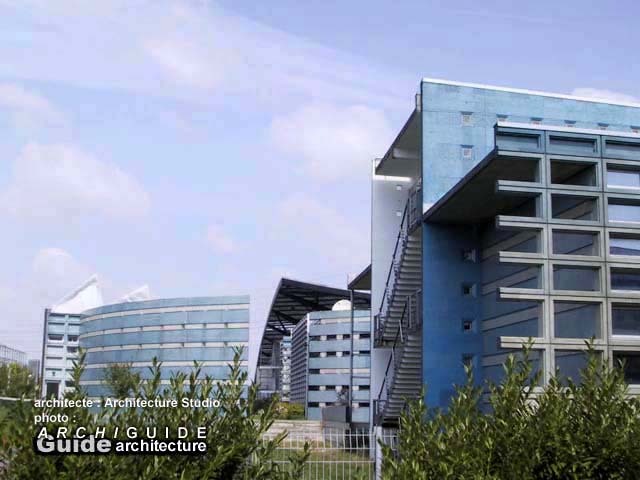 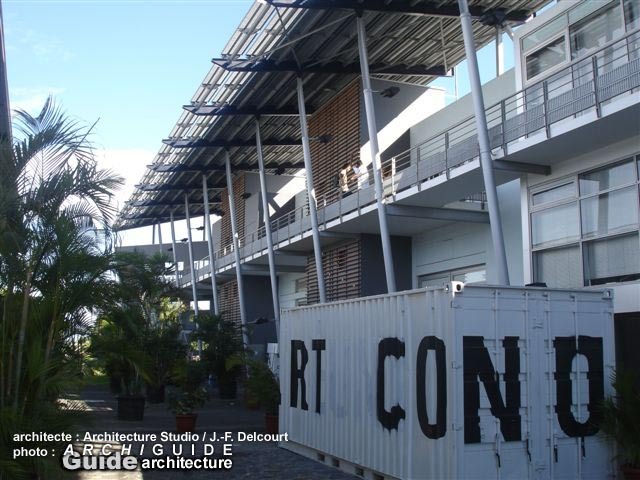 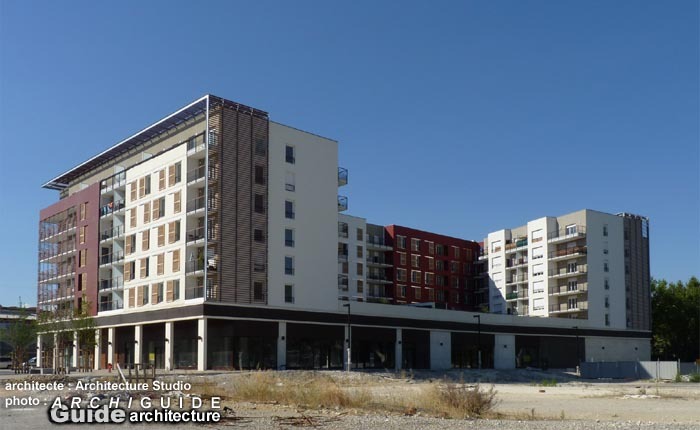 This hall of residence hides its three residential towers behind a protective wall, distribution space which stretches out along the peripherique. 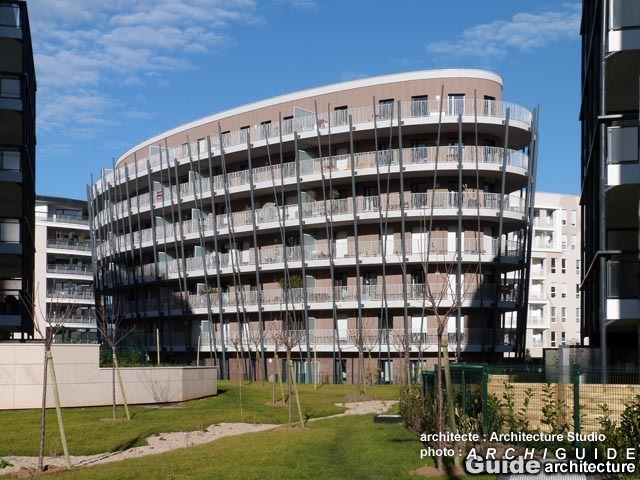 The plan -distribution back and residential ogives- finds itself back printed in wink as an allusion on the window giving on to north on the Parisian ring, while the windows of the flats seek the light of the south, even it means being extracting themselves from their frontage. 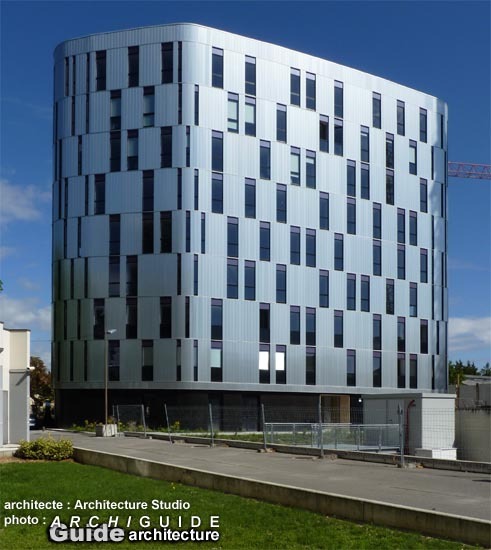 Obvious and expressive, this project is one of the most emblematic of Architecture Studio production. 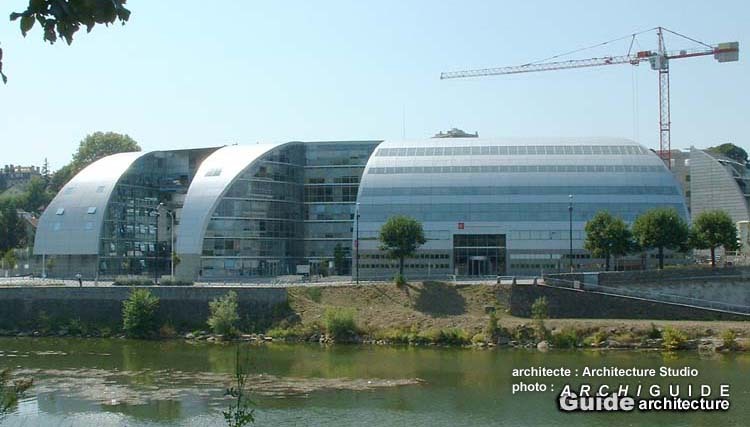 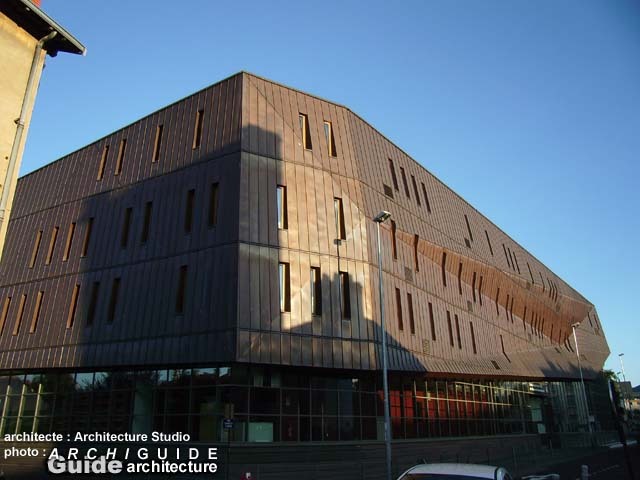 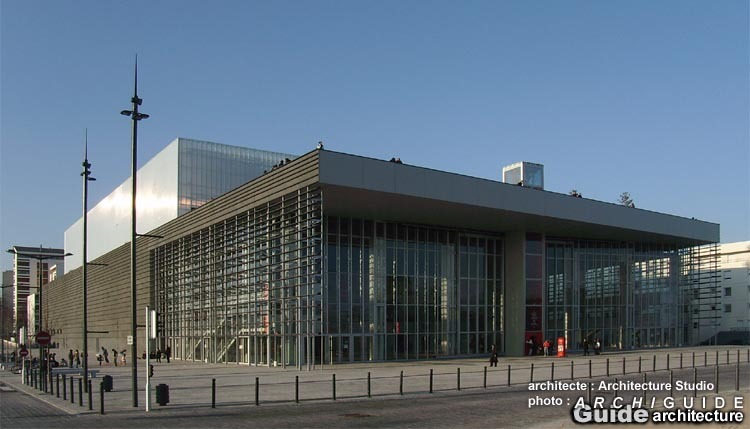 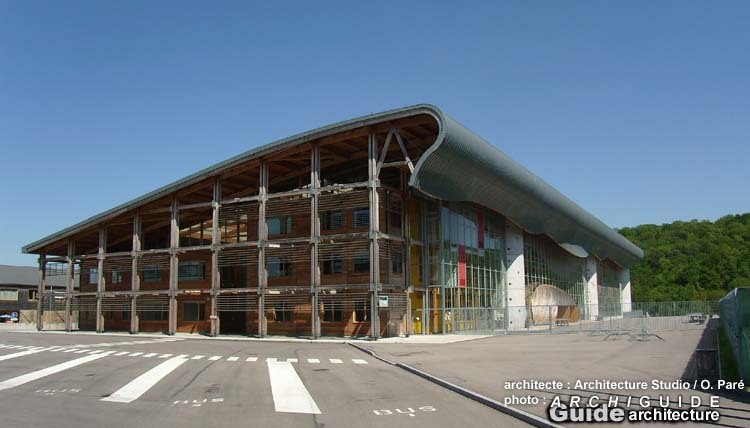 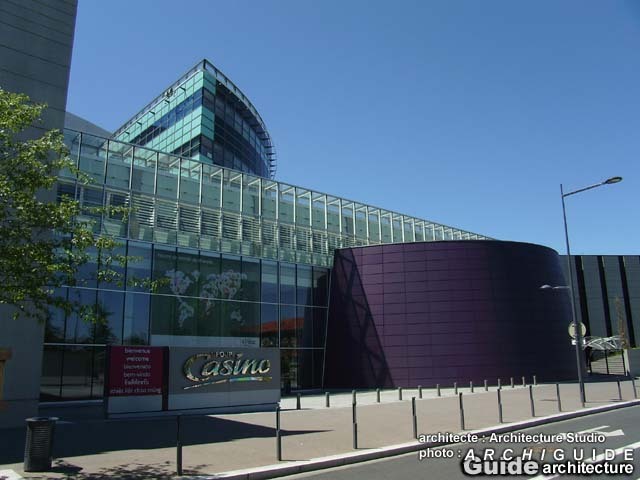 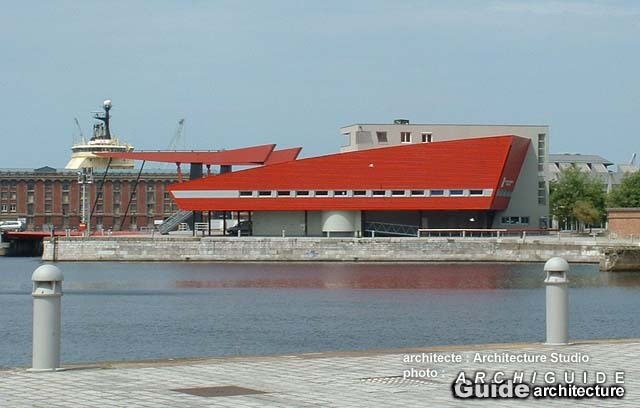 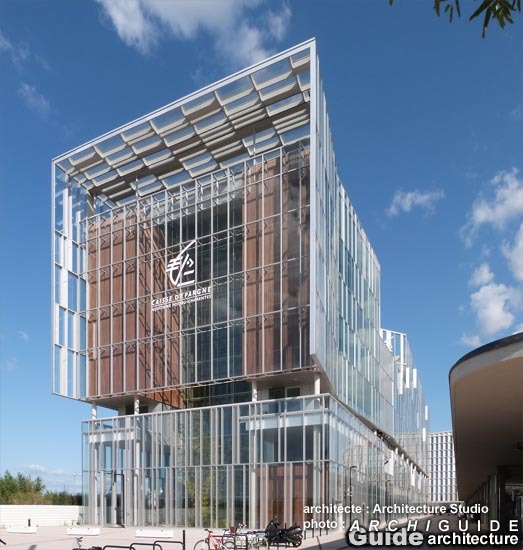 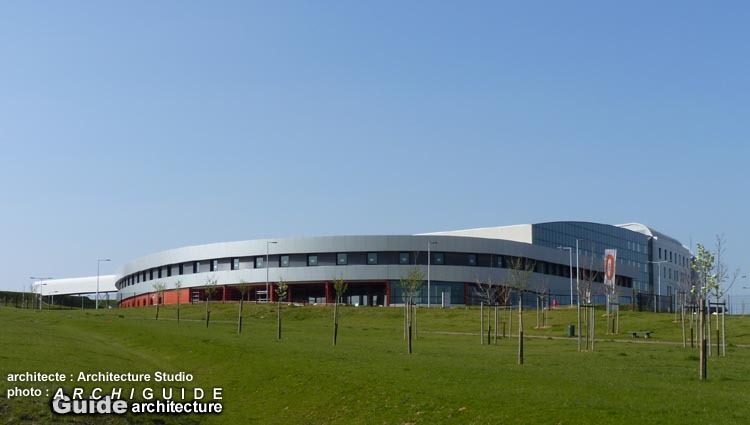 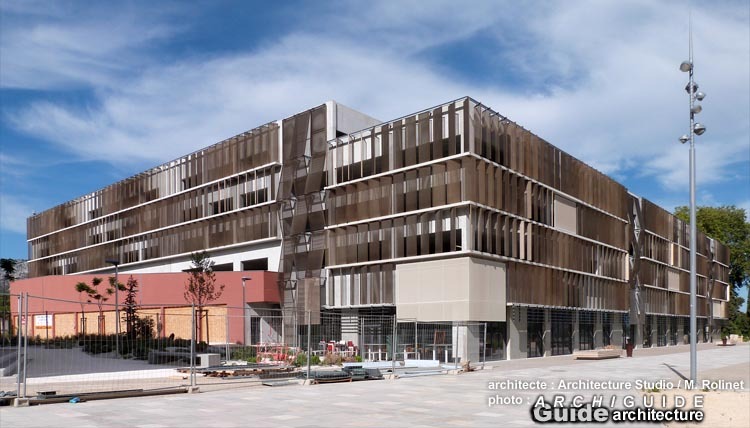 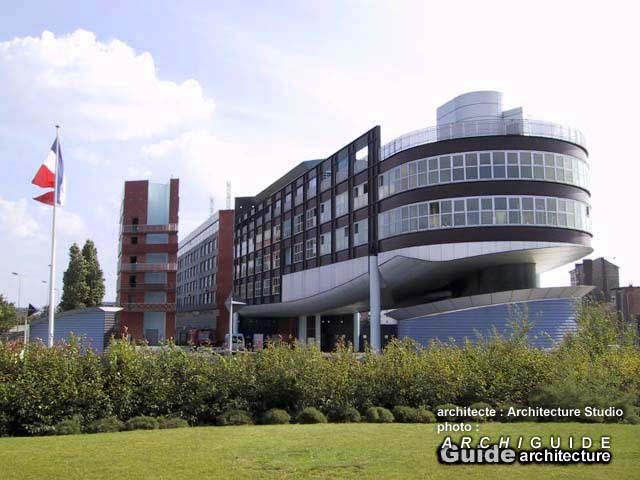 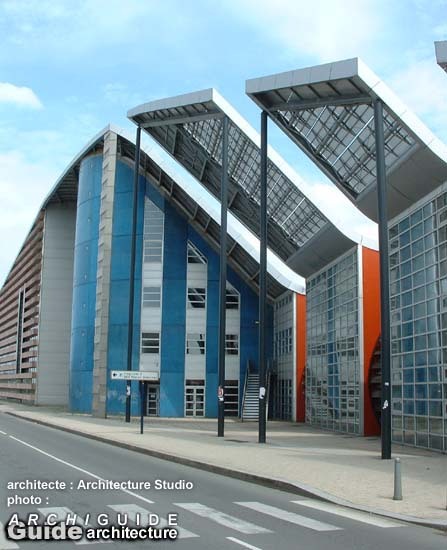 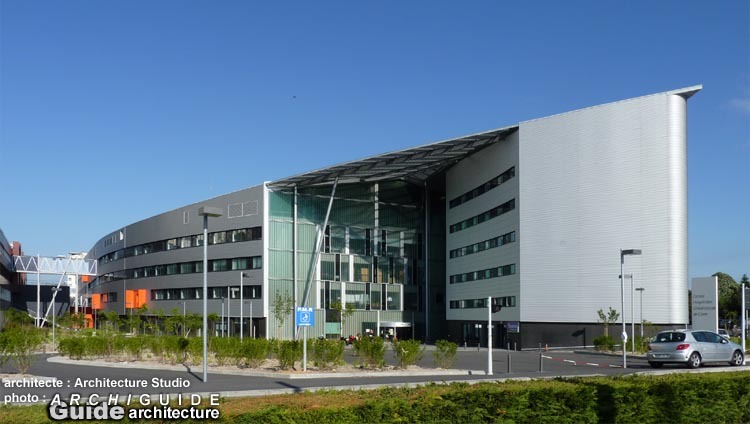 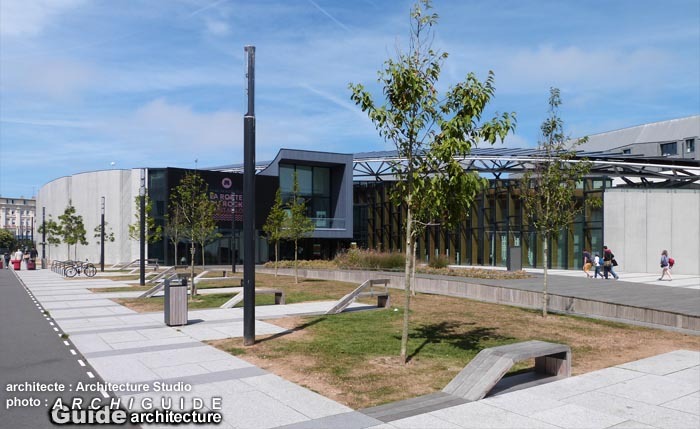 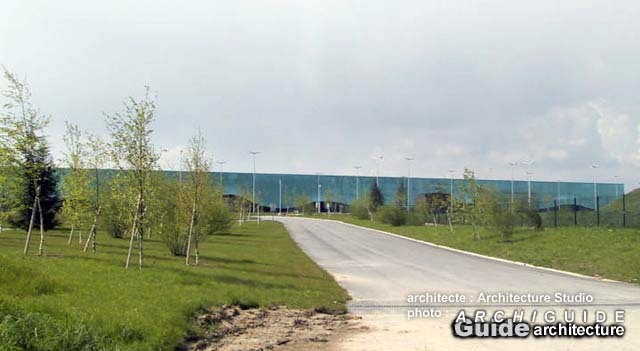 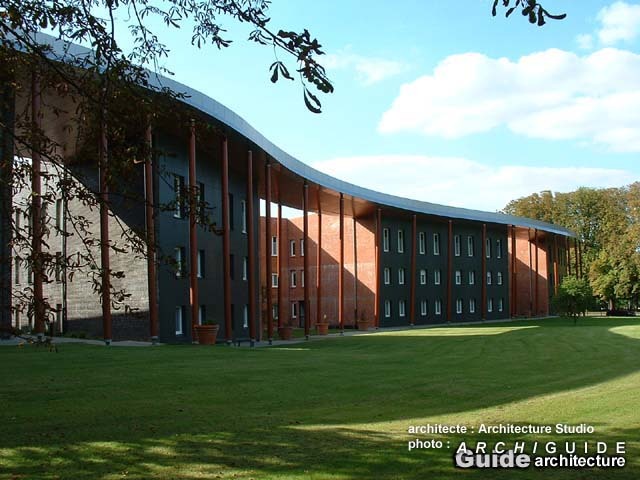 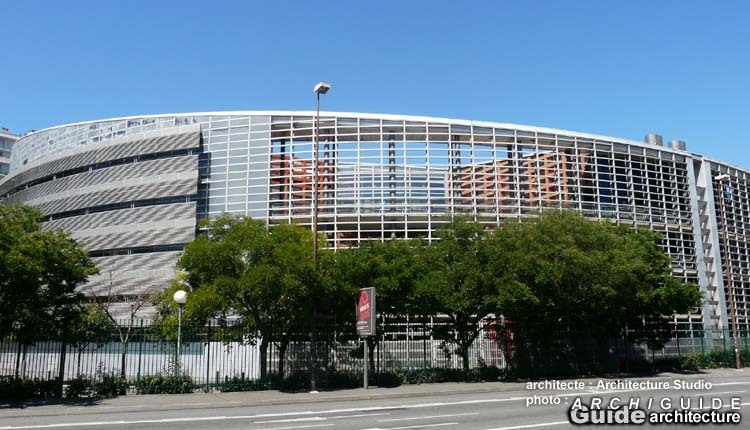 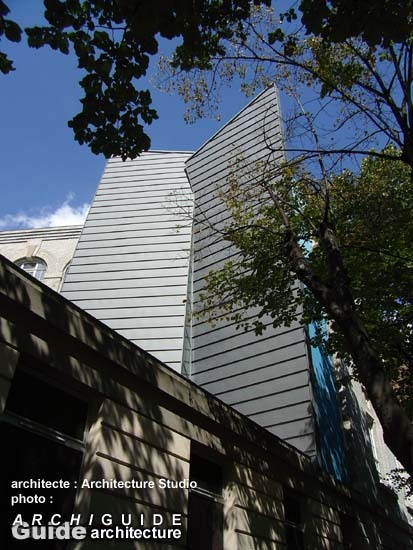 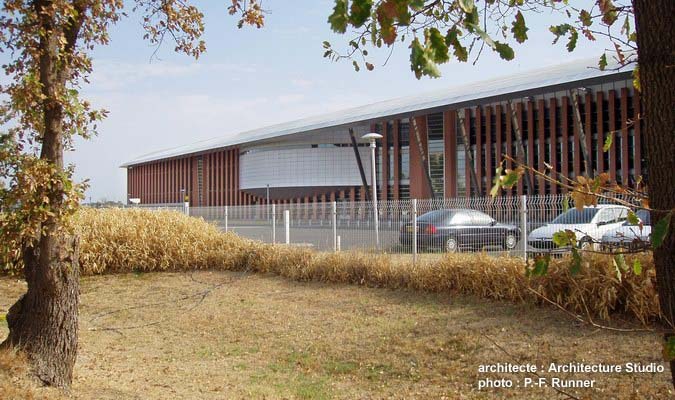 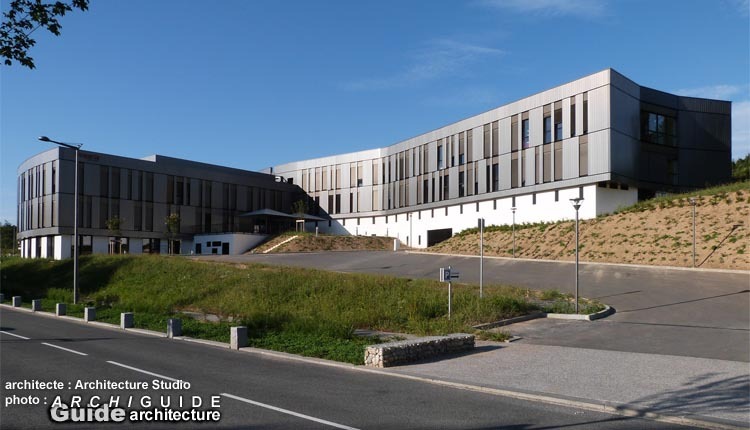 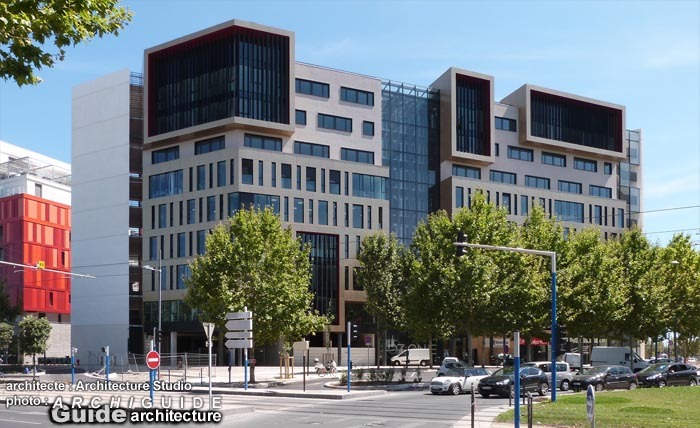 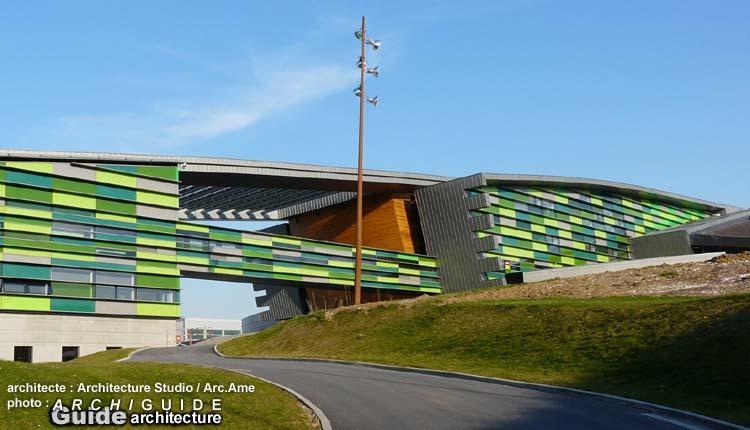 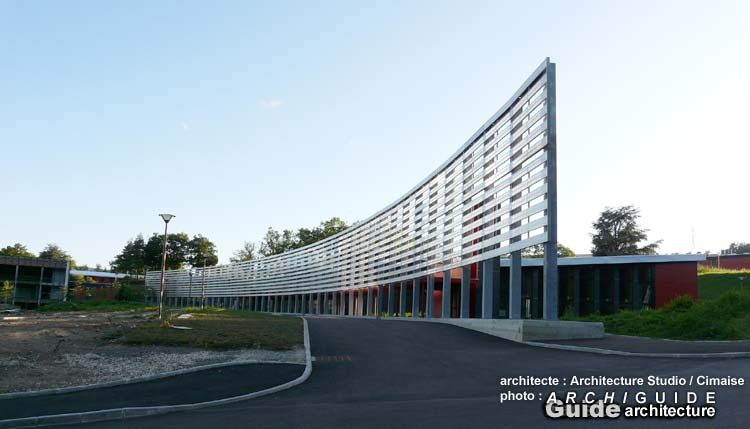 Sans bénéficier d'une façade sur le parc central propice aux animations architecturales, ce bâtiment est le plus original et le plus remarqué de la ZAC Dupleix. 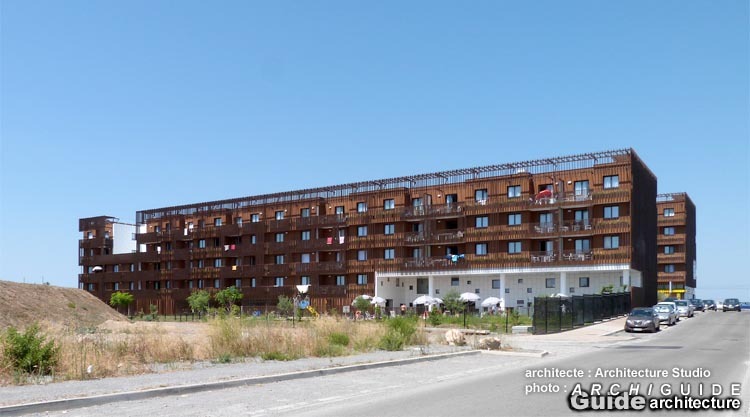 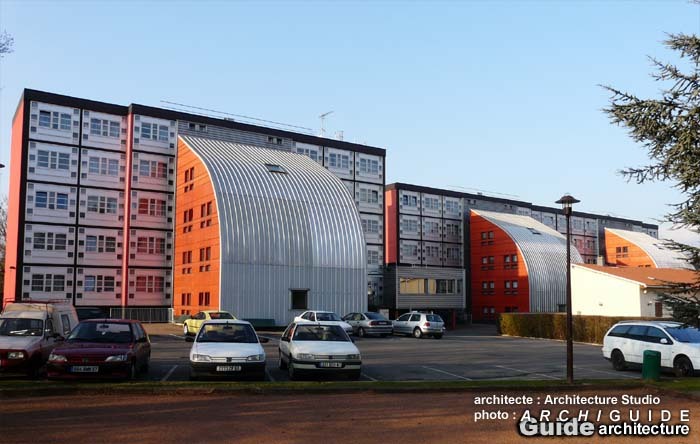 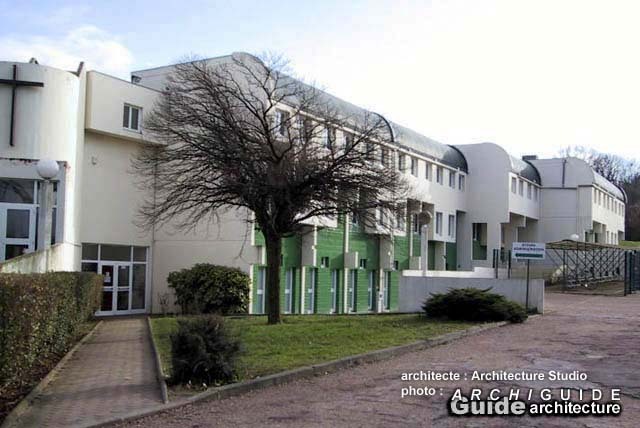 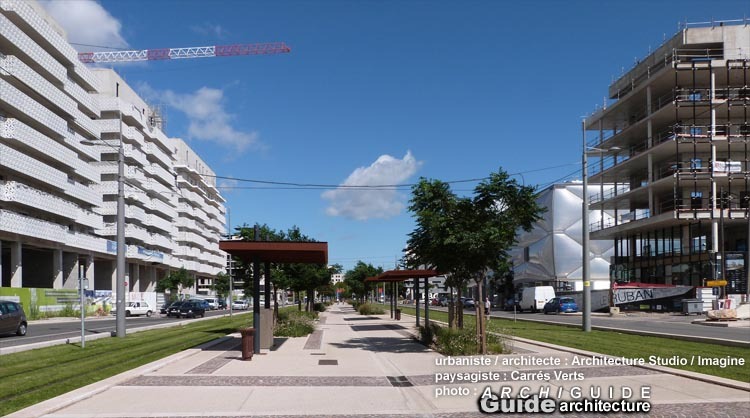 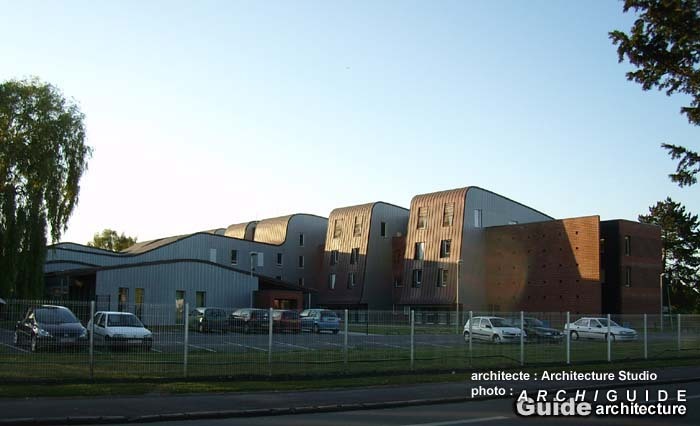 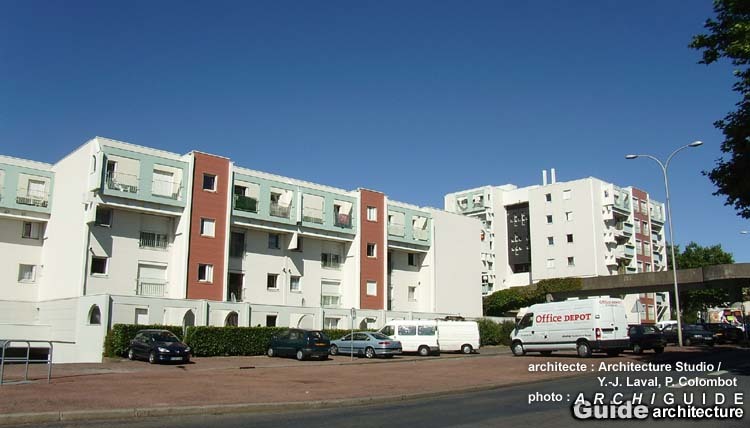 C'est un jeu d'enroulements et déroulements de façades qui offre un vaste porche pour l'accès des logements et de l'école du rez-de-chaussée (organisée autour d'une verrière sur l'arrière du bâtiment), et qui organisent les balcons et recouvrent les logements d'un capotage métallique. 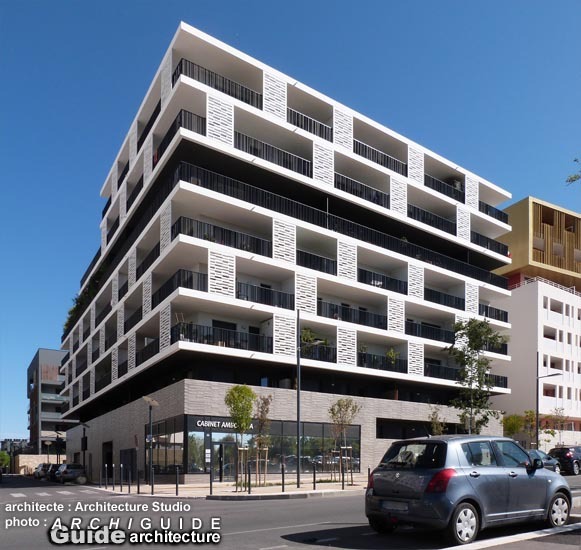 Without enjoying a frontage on the central park favourable to architectural animations, this building is the most original and noticed in the ZAC Dupleix. 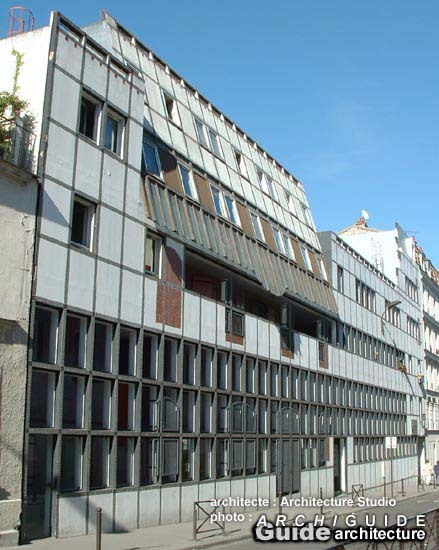 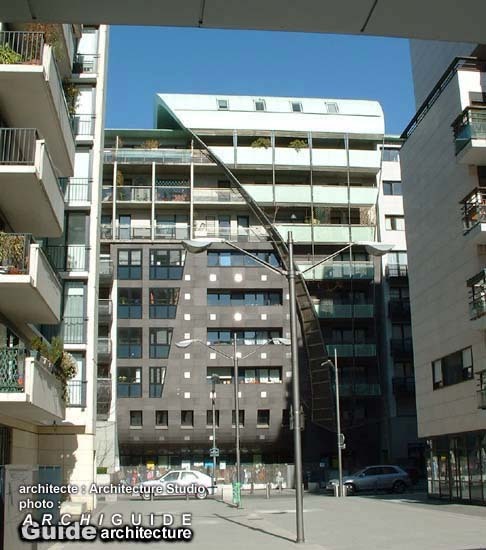 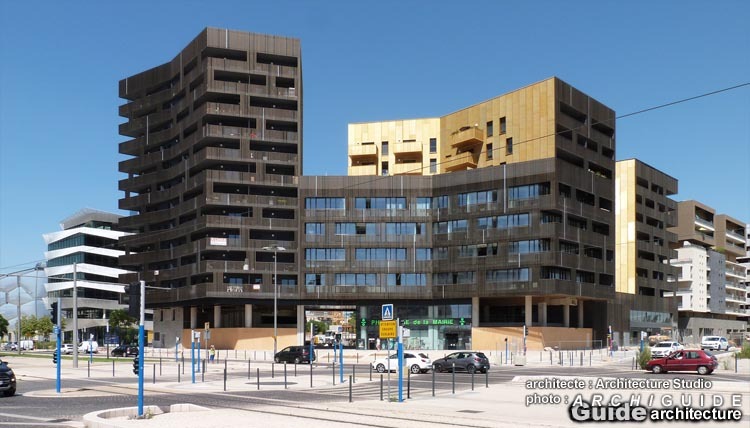 It is a play of rolling up and unfolding of frontages which offers a vast porch for the entrance of the flats and the school of the ground floor (organized around a glass roof on the back of the building), and which organizes the balconies and covers the flats with a metal hooding. 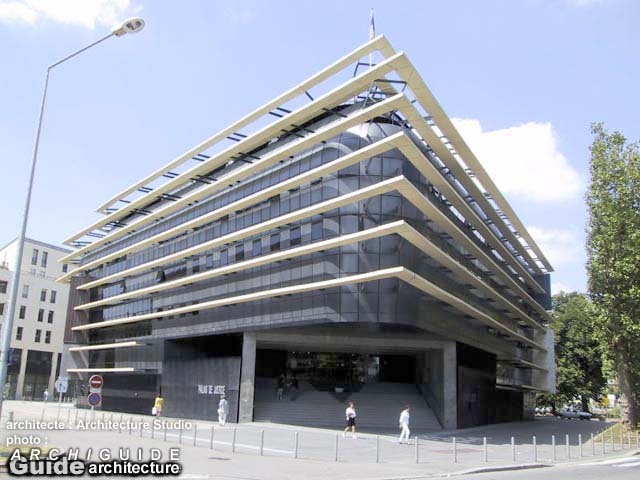 For this building devoted to the Arab culture, perfectly integrated into the intersection of the massive architecture of Jussieu and of historical Paris, the tandem, Nouvel-Architecture Studio spinkled its building with references to the Arab architecture from the ziggurat to the musharabieh -so much disparaged for their functioning- The slit separating the museum and the library is directed towards Notre-Dame thus symbolizing the bringing together of the cultures and the dialogue antique-contemporary -supported by the serigraphy of a Parisian frontage along the Seine.